Our heart beats for Virtual Reality! 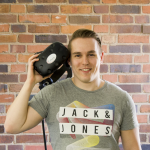 Cykyria, founded by Benedikt Engelhard, has stood for high-quality virtual reality from the Nuremberg metropolitan region since the beginning of 2014. Our virtual reality know-how paired with different VR technologies allows us to break through new boundaries day by day and to realize visions with our customers. We use the virtual reality technology of Unreal Engine 4, our VR equipment is the virtual reality glasses HTC Vive and Oculus Rift, the Treadmill Virtualizer from our partner Cyberith and various motion capture solutions. We use all components together for our full-body avatars. In this way we achieve complete immersion and literally enter the matrix. 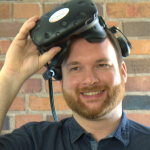 Ben is the founder of Cykyria and obsessed with VR since 2014. 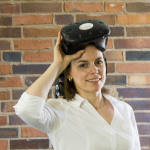 Doris, co-founder of Cykyria, loves VR too. What else is there? Manuel is the backbone of the development team, UE4 wizard and polygon wrestler.